Many members of the Airborne Network have been watching the recent ITV Series ‘Paras – Men of War’. It covered the progress of the Parachute Regiment recruits of Athens Platoon at the Infantry Training Centre, Catterick, as they were trained, before passing out and joining 3 PARA. Over the last three weeks, there has been a fair amount of comment on the series, much of it positive, but naturally, some negative. I thought that I would provide a little background and comment. First, did the series accurately capture how we trained our recruits at Catterick? Secondly, did the series do ‘reputational harm’ to the Regiment, Army or Defence? Thirdly, will the series attract a greater number of young men and women to join the Parachute Regiment and the wider Army? The answers – based on what we have seen on Social Media and in our discussions with the MOD and Army HQ – are: ‘Yes’ to the first question; ‘No’ to the second (indeed, quite the opposite); and ‘too early to tell’ to the third (although our gut feeling is very much ‘yes’). The style of the documentary has been well received. It is possibly in line for media awards. The portrayal of the recruits and Regimental staff was accurate – and sympathetic. Naturally there were aspects of the series that we would have preferred not to have been aired; but that is all part of the risk calculus. There were also some very moving scenes. The timing of the series was interesting: a couple of weeks before the first episode, the Army launched its controversial new advertising campaign, utilising the ‘Millennial’ and ‘Snowflake’ tag-lines. The training that was shown during the series highlighted that there are still young men who are willing to go through hard physical and mental training in order to join the Army. This is reassuring to many people. The reaction in Defence and the Army has been overwhelmingly positive. 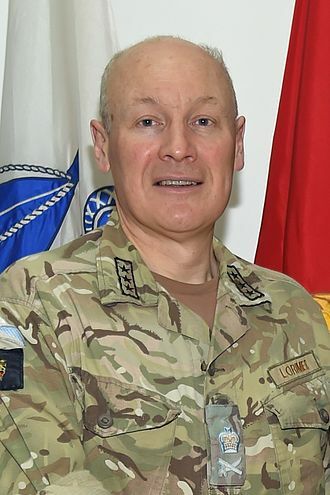 The Director of Engagement and Communications, a serving major general, reported to his team that he was ‘delighted… that the overnight online comments were extremely favourable, and it was just the thing we [the Army] needed at the moment’. A brigadier within the Army Media Centre, having seen the first episode, also said that he was ‘delighted – I want more! Of course, the stars are the soldiers themselves; all a great advertisement for the Paras’. Defence’s most Senior Soldier, a Guardsman stated ‘…. brilliant TV programme. On reflection…..it portrayed the professionalism, experience, toughness, camaraderie, endearment, humour…..of the British NCO.’ From Social Media, it is clear that it has generated a tangible increase in our engagement at Regimental and Army level. Our Facebook page fielded dozens of questions related to joining the Regiment on the first night, which has since continued. The general public seems to have enjoyed it, with 2 million viewers tuning in to watch the first episode alone and a further 1 million using catch-up viewing since. To some viewers, aspects of our training appeared horrific, such as bayonet fighting and milling. However, many civilians who watched the programme seemed to accept that that type of training is necessary to produce the kind of soldier that we need in the Regiment – and that the country requires. We have all been ‘hardened by tough physical training’, as Montgomery wrote. But we have also received comments about how the instructors were perceived: professional, tough, ‘scary’, yet also caring, compassionate and exceptional role models. Someone wrote: ‘There is method in their madness’, with the quote from the platoon commander at Catterick ‘Paratroopers don’t fail, they learn’ being highlighted as showing that we demonstrate a positive and modern approach to training. Without doubt, the series has enhanced the Regiment’s overall (and already high) standing in the eyes of the general public, and by extension, that of the Army too. The third question cannot be answered for a few months: will our recruiting figures improve as a result of the series? The Army’s Recruiting Group believe that they will, based on the initial expressions of interest since the first episode, but we will have to see if this carries through to young people actually reporting for training at Catterick. We have been told that there has been a significant spike (fourfold) in the number of young men putting the Regiment as their first choice when interviewed in Career Centres. It is also likely that the series will have encouraged some of our serving soldiers, who were considering leaving the Army, not to ‘sign off’ and to remain in the Regiment. Soldiers in the battalions have enjoyed seeing an accurate depiction of what they went through during training – and they felt proud that they had achieved the standards. Indeed, they felt very proud of their Regiment, as should we all. RHQ PARA has carried out a straw poll across serving and retired members of the Regiment. We have also received many comments direct and via Social Media. I am grateful for them all and I hope that people will continue to engage with RHQ PARA and online. I am entirely sympathetic with some of the concerns raised by veterans and they will be addressed appropriately by the chain of command. However, from a wider perspective, I am relatively satisfied (with some reservations) with the series. It was an accurate documentary of our Regiment’s recruit training at Catterick. It has enhanced our standing in the country. Finally – and very importantly given the current state of Army recruiting – it will almost certainly help us recruit more young men and women into the Regiment and the Army. I hope that the numbers joining the Regiment in the next year or so will prove that I made a good call in 2017 and that it was worthwhile supporting this project. Only time will tell. Milling. Ref my remark about Milling in an earlier message about the TV programme. The Regt Lt Col tells me that it is not accurate that Health and Safety requires the wearing of head and mouth guards for milling. At present Milling falls under the umbrella of Army Amateur Boxing which requires head and mouth guards to be worn. Civilian Amateur boxing has recently removed the requirement for head guards and the Army may adopt this policy at some point. Fort Bragg to Latvia is 4,685miles with a Bde (-) inserted by C17s – an impressive feat and unfortunately with no RAF involvement. Ascension Island to the Falklands is 3,800 miles -a stick of one PARA officer inserted by the RAF. UK to Cyprus is 2,001 miles-a PARA coy group + undertook this insertion with the RAF in the mid 1980s. Parachute Injuries. The statement that ‘one in twenty descents (whilst under RAF parachute training) result in “serious injury”. Is not accurate, even though it may be used as a (pessimistic) planning figure.